Good Morning! Happy May Day to you all. This week, Audrey is our hostess with the mostest. Audrey has chosen ALPHABETS as her theme this week. It’s a fun theme and here’s Audrey’s sample to inspire us! please please please make your postcard 6 x 4 inches in size. This is our only rule here on SPA. Thanks for your wonderful entries this week. 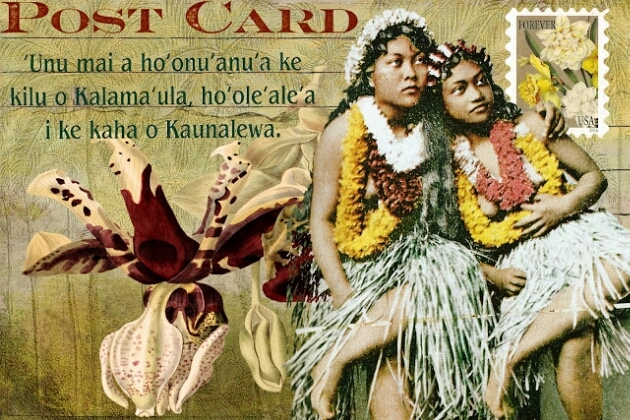 welcome to Sunday Postcard Art! affectionately referred to as SPA by most of us. This week, I was inspired by the focal image on my postcard. It came on a collage sheet from Lunagirl on Etsy. 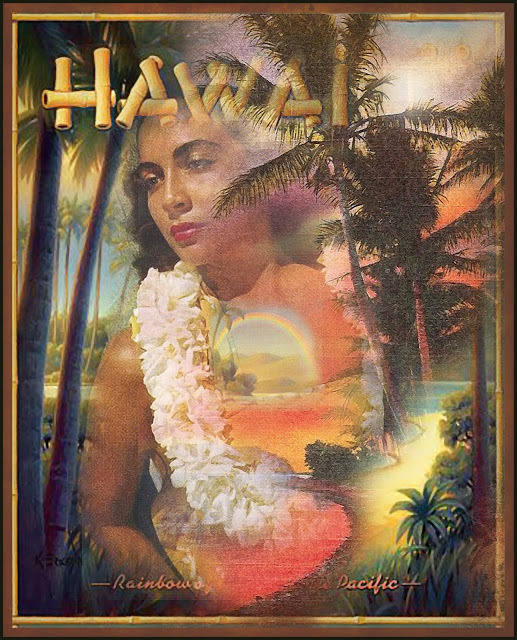 wonderful entries for the Hawaii theme chosen by Electra. Here are just a few samples to show your incredible creativeness! This week is Electra’s theme of Hawaii…. we could certainly do with warming up here in England! Please make your postcard in a 6 x 4 inch format. Any mediums are welcome. Thank you all for playing along last week. Big thanks to Sabine for inspiring us all to create some postcard art. Sabine is joining us with the fabulous theme of FAMOUS ARTISTS. Sabine has chosen Klimt inspire us all this week, you of course can choose any artist you choose. Remember to make your postcard 6 x 4 inches in size.